Are your Homejoy cleaner and Summon driver servants? | @summon the founder! “Do you think collaborative consumption is just creating a servant class in America, similar to what existed in, say, colonial India? Collaborative consumption (or “sharing driven”) companies are now the fastest growing businesses in huge sectors, such as transportation, cleaning, and travel. Companies in new sectors seem to start everyday, so David’s question about how we are treating workers who are driving this revolution is an important one. After giving David’s question the thought that it merits, my answer is no. Collaborative consumption is not creating a servant class. Obviously, I have a conflict of interest here, so I want to lay out my reasons, and you can decide for yourself. It’s fine for a CEO to lay out logical reasons why the movement his company is a part of is a net positive. How can he know about how drivers are really treated and how they feel though? Here’s why I think I can: when we started Summon (then called InstantCab), we had no drivers. For the first two months, all six of us in the company wrote code 5 days a week in our shared Mountain View house and then drove up to SF. For 3 nights a week, we drove for 8 hours everyday. Initially, we barely knew SF geography, so each car had a driver and a navigator. 24 hours a week, for several weeks, my wife sat next to me and helped navigate as I picked up riders around the city. I cannot claim to have walked a mile in the drivers’ shoes financially, but I did experience their day to day life for a few thousand miles. All of us at Summon learned more about driver centric design in those weeks than any of my grad school classes on user centered design could have taught me. I still drive when time permits, to keep up my understanding of what drivers need from Summon. Americans have always respected people for earning a living through hard work, regardless of the type of work, and there is no reason that this fundamental part of our culture should change with the rise of collaborative consumption. The Discovery Channel show Dirty Jobs, in which the host Mike Rowe pulls up his sleeves alongside folks who do dangerous, dirty, or outlandish jobs, has a huge cult following. While many episodes have a shock factor, they also emphasize the simple fact that there is nothing embarrassing about doing any job that is a net positive for society. The word “servant” has a negative edge because it automatically connotes one person as being beneath another person, in large part because of the type of work he or she does. This edge is sharp because it recalls times and cultures when there were other types of strong bias. For example, in colonial India, Indians were treated worse than the British rulers just because they were Indian. It is reasonable to say that in America today, we live in a much more egalitarian society. My own experience behind the wheel (most of my riders did not know I ran the company) proved this to me beyond any doubt. Sure, there were people who were a bit curt, but often it was because they were running late. Even in those instances, I never once felt like they thought of me as beneath them in any way. Treating someone well means having some respect for them. Most companies in the sharing economy expect that their riders treat their drivers with a basic modicum of respect and vice versa. This is one reason behind driver and rider ratings mechanisms. This virtuous cycle of respect is obvious if you study pre-sharing economy opinion polls of taxi drivers with similar polls of transportation companies today. Indeed, a core principle of our design is that frequent riders have the best service experience when they get a ride from drivers they have liked before , enabling a long term mutually beneficial relationship rather than just a transactional one. Lyft’s model is based on the driver being a friend. Jobs in the sharing economy are in many ways much better for workers than traditional jobs. Collaborative consumption jobs provide higher income and greater flexibility. 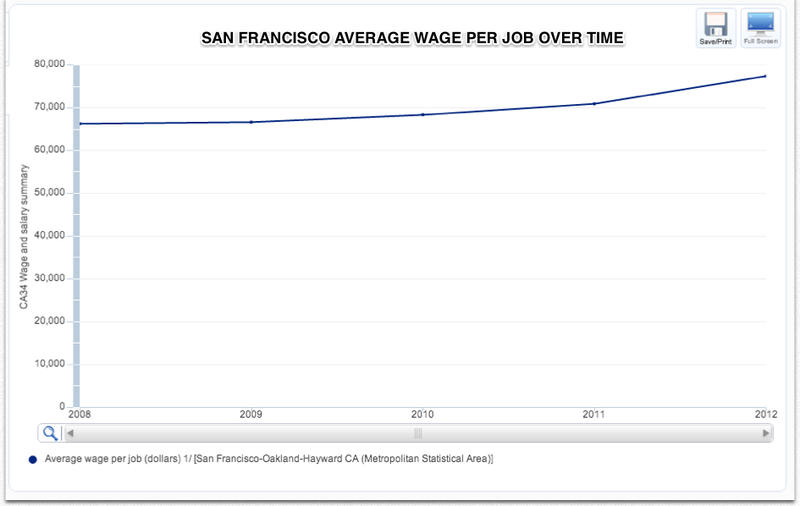 In contrast, Uber says that its UberX drivers in SF make about $75,000 per year. Those in NY can make $90,000, more than the average tech employee in the US. The gig is also more flexible than traditional taxi driving, since peer to peer drivers own their cars (no leasing fees to worry about to pay to other drivers or to a cab company), don’t have to pay for medallions, and drive whenever they want. These differences are not limited to driving. Maids in this country typically make $9.51 per hour. Homejoy cleaners, on the other hand, make $12-15 per hour plus tips. 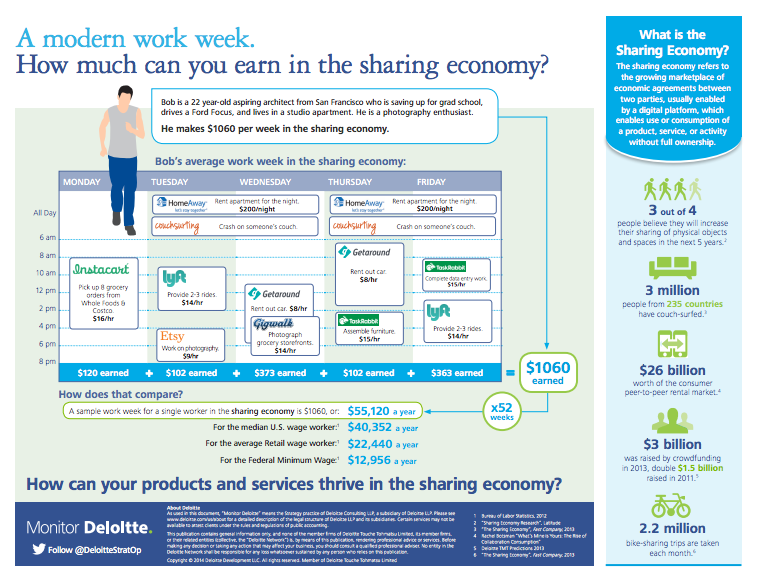 In July, Deloitte asked an aspiring grad student named Bob to use a bunch of different sharing marketplaces for a 5-day work week to see just how much he could make. Bob was able to make $1060, the equivalent of $55,120 per year, almost 40 % higher than the average wage worker and more than 4x greater than the Federal minimum wage. Collaborative consumption is upgrading the job market by offering flexible opportunities to earn money. If you ask any Summon driver what they like most about their gig, the answer is likely to be the flexibility. Summon drivers, like most marketplace sellers, set their own hours. Many Summon drivers are musicians who drive in between gigs, chefs who cook at night and drive during the day, or stay-at-home parents who drive while their kids are at school. Summon Personal drivers get paid weekly, and Summon taxi drivers get paid the next business day, much better financially than what the traditional taxi driver faces—getting paid once per month after hundreds of dollars of deductions for medallion and leasing fees. Collaborative consumption is also efficient in allowing for a quick start. Traditionally, taxi drivers have had to buy into corruption (i.e. promise dispatchers a portion of their income to get more rides) and get approved by the existing group of taxi drivers before they could start working. With services like Summon, all you need is a willingness to learn and a smartphone, and ride dispatch is automated and unbiased. More than half of Americans already own a smartphone, and Summon lends phones to drivers with extenuating circumstances. Summon’s operations team is always creating new driver incentives and developing programs to improve driver happiness at Summon, both on and off the road. For example, we recently negotiated with a health insurance manager called SimplyInsured to make more affordable health insurance available to Summon drivers. We also offer discounts on select car models to make it easier for drivers to purchase a car and join the sharing economy. At least two of our competitors have adopted similar initiatives. Such initiatives were rare in the old taxi model. Some people have non-monetary motives for taking a job, such as learning new skills. In the US, many parents encourage kids to get a job as soon as they turn 13 or 14. 1/3 of American teens have jobs. A lot of these jobs are low-paying service or retail positions, but they teach valuable life skills, including teamwork, leadership, and professionalism. These may be worth a lot more over the course of life than a paycheck. The adult job market has rapidly opened up with the rise of collaborative consumption, leading people to become peer to peer drivers, Airbnb hosts, Homejoy cleaners, and more. These jobs also teach valuable life skills. For example, Summon drivers learn to be good conversationalists, build their customer service skills, and learn the city like the back of their hand. Jobs in the sharing economy have other “soft benefits” that are often overlooked. They actually do create a sense of community and togetherness. One of our top Summon drivers is an Oracle engineer who works remotely and drives for Summon in the evenings in order to be around people and see the city. Another Summon driver recently lost her daughter and drives to relieve stress and loneliness and keep her mind occupied. Having an office job, despite all the regulatory protections it offers, would not be able to offer such benefits. People join marketplaces for reasons that extend beyond their bank accounts. The critics of collaborative consumption say that the sharing economy is merely the outgrowth of an underperforming economy, but collaborative consumption may actually be fueling economic growth. San Francisco, the birthplace of many sharing economy companies, has seen rising economic growth over the last several years, so people are doing better financially as the sharing economy explodes. Yes, correlation doesn’t imply causation, and yes, the plural of anecdotes is not data, but we are consistently hearing from drivers who say their personal financial conditions have improved significantly over the last few years. 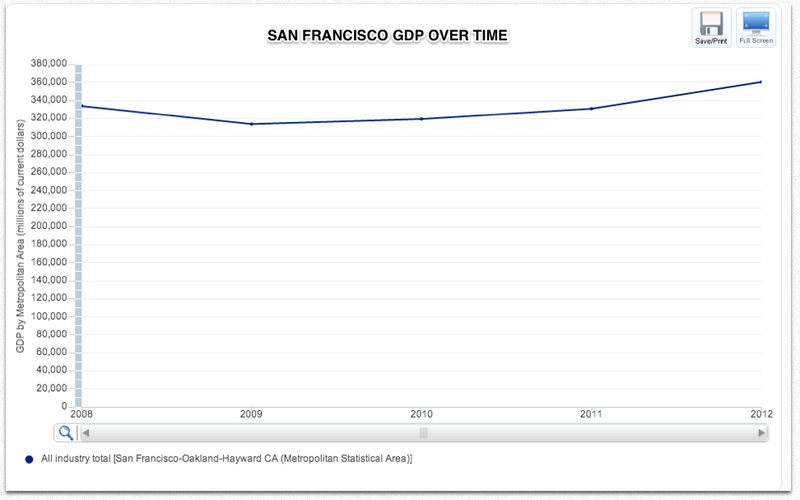 As the graphs below indicate (graphs obtained from the US Bureau of Economic Analysis), the San Francisco metropolitan area has improved since 2008 in terms of overall GDP, per capita income, and average wage per job. There’s a lot of work to be done in terms of reducing income inequality, but these numbers are encouraging. 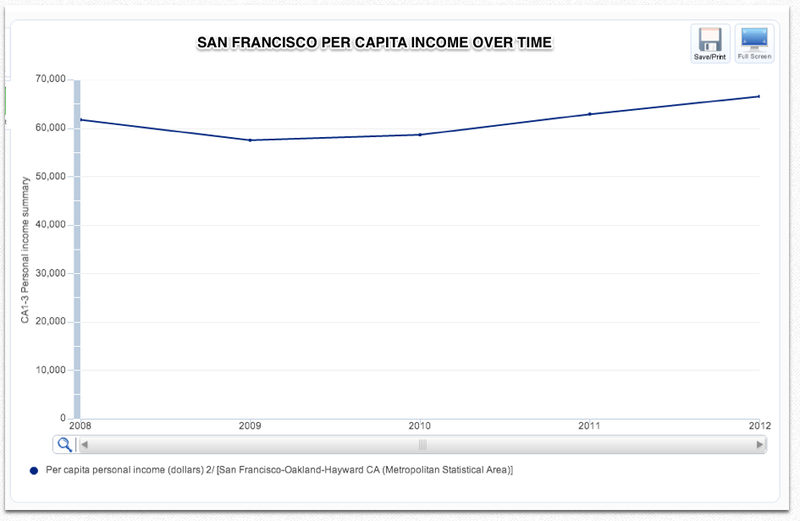 While exact figures were only available through 2012, reports suggest that median household income is expected to grow 4 percent in SF between 2013-2017, and average wages in the customer service area are expected to rise 3.9 percent in the Bay Area in 2014. All this data suggest that marketplace sellers may actually be getting a pretty good deal. A general culture of respect for service jobs, specific incentives for drivers from marketplace companies like Summon, and a good economic environment make collaborative consumption a positive trend. Rather than creating a “servant class,” collaborative consumption just might be the key to economic growth and worker satisfaction in the coming years. It is clear to me that collaborative consumption is a net positive for America. I’d love to hear what you think. If you like this post, click here to sign up for an email when I publish my next post. You can also follow @summon on twitter. We try to keep our tweets sparse and relevant. This is great. But I have a slightly different take. Basically I am against competition, and pitting people against each other. For example, in London, Uber created competition with the long established cabs and mini-cabs industry, triggering some protests. The government has hard regulations for cabs and (to a somewhat lesser extent) minicabs, and yet it is allowing Uber to operate. I am not against monopoly, unnecessarily tight (and expensive) regulation, or anything like that, but I am against competition which benefits only the government, while everyone sees their wages go down as an effect. I am for a conciliatory and cooperative approach with services which already exist. Another example, which might not totally apply but would illustrate my opinion, is websites such as freelancer.com. The competition coming from India is huge, and projects are being fought over for peanuts, for rates which would have made me refuse them in disdain. And it’s not showing any sign of changing. This of course is a form of telecommuting, and a different structure (it’s closer to a conventional marketplace), but it serves to illustrate one of the downsides of competition, which collaborative consumption surely serve to increase. Collaborative consumption networks have to go hand in hand with a change towards a collaborative mindset. They must not be used to exacerbate mindless competition – a scenario where they would contribute negatively to social conditions and quality of service. Thanks for the extensive info and graphs, and the story, by the way. Hi Rolfen – I’m glad you liked the article. You make an interesting point. Collaborative consumption companies often “disrupt” the existing equilibrium. This generates competition, which is great if it is a healthy competition. One of the ways Summon has tried to foster healthy competition is by working with established taxi drivers as well as the new generation of peer2peer drivers. Thanks for reading. Hi there excellent website! Does running a blog like this require a lot of work? Hi there, Getting the blog started isn’t too hard, thanks to tools like WordPress (there are also other similar tools out there). You don’t need to know coding to write a blog. WordPress has fairly simple themes and tools that you can use to set up a great looking blog. It’s being disciplined and taking the time and effort to draft and share good quality content that takes hard work. Good luck!